An aesthetic and simultaneously very functional addition to your home, area rugs are a worthy interior item, which you must maintain well; for, an unclean and worn rug does more harm than good to the image of your home. Regular professional cleaning is an effective as well as inexpensive way to keep your rugs looking like new for a long time. 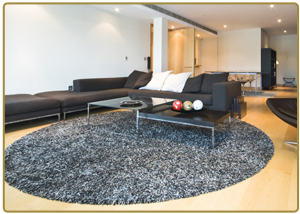 So invest in professional area rug cleaning service at appropriate intervals to allow your rugs to enhance the charm of your living space. They May Look Easy to Clean by Yourself, But the Results May Not Always Please You! Area rugs, being much smaller in size than carpeting, may look like they are easy to clean using DIY solutions and scrubbers. But we know of numerous people who have tried the thing and then regretted the experiment! This is because, many cleaning solutions sold off the rack are not specific to the type of fiber your rug may have – they may harm the delicate fabric of area rugs in many unpleasant ways like fading, over drying etc. 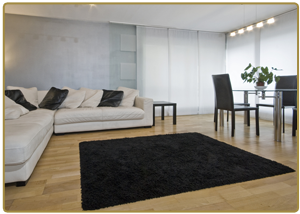 In addition, scrubbing the rugs on your own may irritate the fibers causing them to deteriorate in quality. With highly experienced and skillful technicians, the Versatile Cleaning Group guarantees to clean your rugs with the gentle care and expertise they demand. Our excellence in serving the cleaning needs of homes so far has won us numerous happy returning clients. The variety in rugs is immense; and therefore to clean them all with the same level of skill, you need a highly credible cleaning agency. 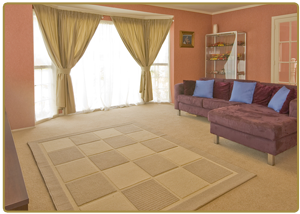 At Versatile Cleaning Group, we possess the knowledge to closely analyze the material and make of your rugs. Prior to cleaning, we do a detailed inspection of your area rugs to be able to determine the best method to clean them. We clean everything, from your valuable heirlooms to regular functional rugs, with fantastic results. Call us now at 317-537-7147, and allow us to demonstrate to you our adeptness at cleaning area rugs!